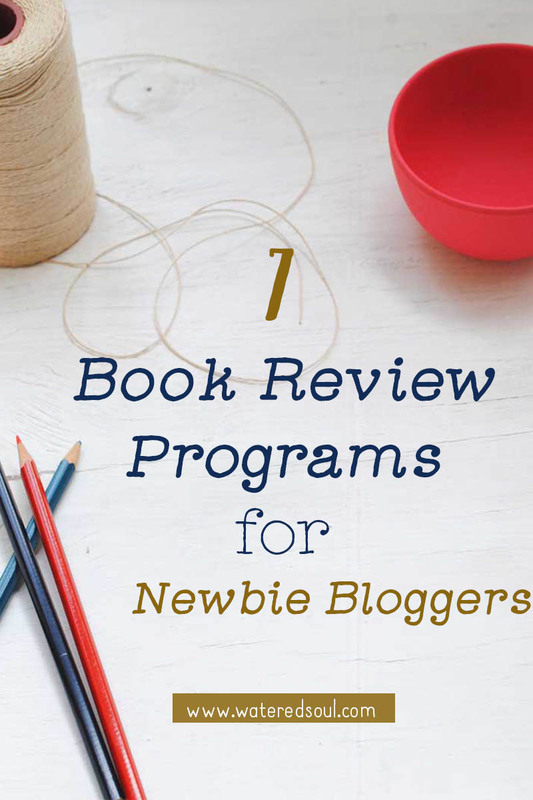 It’s been some time now since I wrote about 10 Book Review Programs for Blogger Newbies and it continues to be one of my most read articles. Before I even hit published, I knew I left out a few other book review programs and promised to do a part two. See the book review programs that made the list in part one. When I started blogging in 2010, I wanted to know how people were managing to get their hands on all these FREE books to review. The book lover in me wanted in but the newbie in me didn’t know how to or where to go to make the connections. Eventually, I got the inside scoop and now I have authors, who contact me personally to review their books on occasions. To see some of the great books I have reviewed in the past visit my book review page. 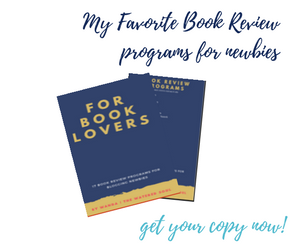 So I want to share my knowledge with others, who have a passion for books and would love to share their thoughts through blogger book review programs. Each program typically has their own rules so be sure to check out their guidelines before signing up and agreeing to review for their programs. Ok, I’ve blabbed enough. Let’s get on with the book goodness. 1. Book Crash: Offers a simple sign up process and they send out email notifications of their latest book offerings. In the last email I received from them they were looking for bloggers to review Serenity to Accept by Elizabeth Maddrey. Individuals residing outside of the US and Canada can participate in the program but they must be willing to accept e-books. 2. Story Cartel: Sign up for their list and join over 11,00 book lovers and get notifications about free books. They offer a range of books to review. According to their website, For book lovers, “ Story Cartel is a resource to discover great books and fresh authors; for authors, it’s a platform to build deeper relationships with readers. As long as it meets our guidelines, any author can launch their book on Story Cartel.” I’m on their list but I have not reviewed any books for this program yet. From my understanding the books are e-copies but you can be entered to win actually print copies of the books. 4. Abingdom Press: This is a relatively new program (to me at least) and I’m not real sure where I went to get on their list but I have started receiving emails with their latest listings of available books for review. Here’s a link to their latest list. 5. The Book Nook: Is a Hay House Blogger community that offers free books in exchange for a review. This is another program that is relatively new to me and I have not yet taken the opportunity to review a book through this program. 6. Christian Fiction Blog Alliance: Patricia of Readin and Writin with Patricia told me about this one in her comment to my previous list of book review programs. 7. Moody Publishers: Moody Publishers offer copies in exchange for a review on your blog and at least one online consumer site like Amazon. Just discovered this program via Parchment Girl blog. Did I miss any other great book review programs? 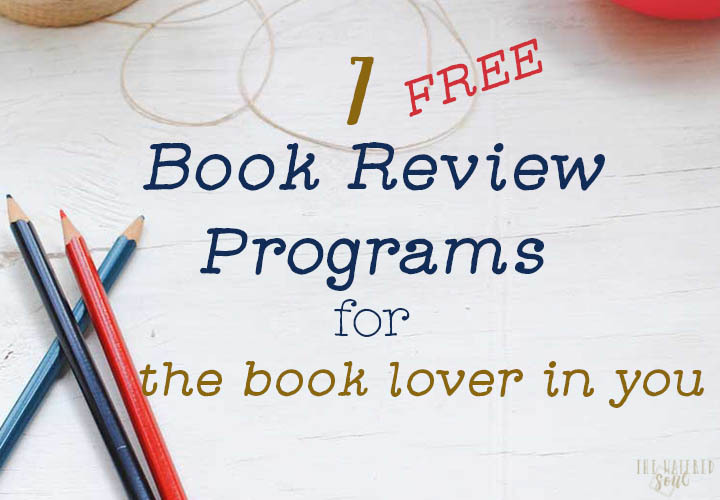 Grab the printable book review program list and get the latest updates... it's FREE! Hi Wanda! This is a fascinating read for me. I often see bloggers reviewing books, and wonder how they got involved. There appear to be many choices to get started. You have such a wealth of information about these issues, it’s so great that you are sharing with all of us. Thank you for your help! Glad you found it useful Ceil. I know I was clueless about how to start getting books when I started out. So I’m always happy to share something that may be useful to others. Thank you, Wanda. As part of my book marketing I am to offer books to some of these programs so it is helpful to me to have a better understanding of how they work. Pam recently posted..Need to Make an Exchange? Glad you could use the information Pam. You will have some advice to offer on the flip side of things with you being an author. All the best to you in your book promotion. Hi Claire, I’m glad I discovered your blog. It’s always great to find new friends. I never knew blogging could be come so time consuming until I started myself lol. Have a great weekend. Your post is very interesting and it is nice to know about this topic. How to receive free books that you are willing to read and review. Thank you for your sweet comment on my recent post. You’re welcome Hazel. Hope your week is off to a great start! Thank you for posting these, they were very helpful. I had only known about the booksneeze for about 2 years now and wondered if there was any others out there or not. I just wish some of them didn’t want to know how many views I get, cause it doesn’t seem like I get any. Hi Raya, happy to hear you found the list helpful. When I was new to blogging I sure wanted to know how bloggers where getting their hands on all those good books. As far as your stats, do you have separate blog for your book reviews or do you mingle it with other blog topics. I find that when I post reviews it tends to be the least viewed topic on my blog but I do because I really enjoy reading and it helps fuel that passion. You might also try interacting or commenting on other book blogs. That sounds like a good strategy! I really love netgalley.com for e-books. You can request any book, and once you are approved they e-mail you a link for it. Hi Heather, I signed up for Netgalley some time ago but I still haven’t gotten around to actually using their services. My TBR list is piled high.